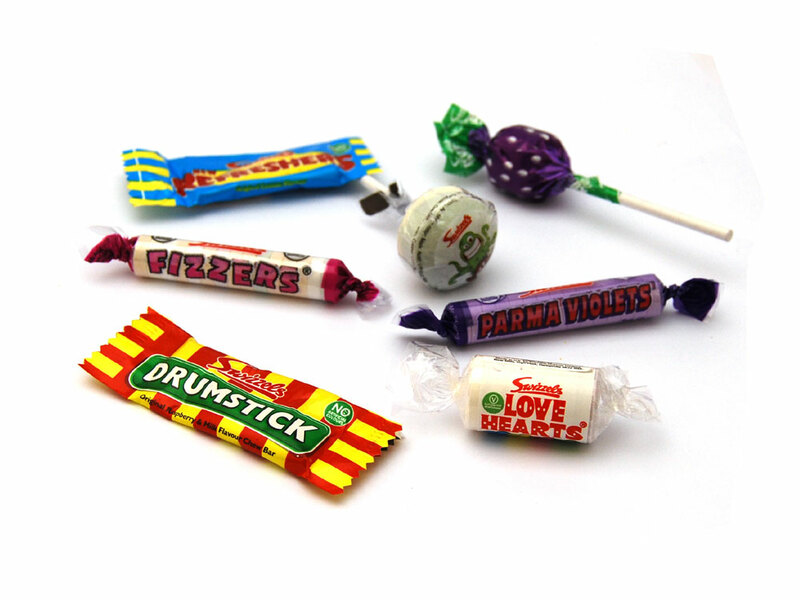 An assortment of family favourite sweets which are all suitable for vegetarians. Can't choose what sweet to get? 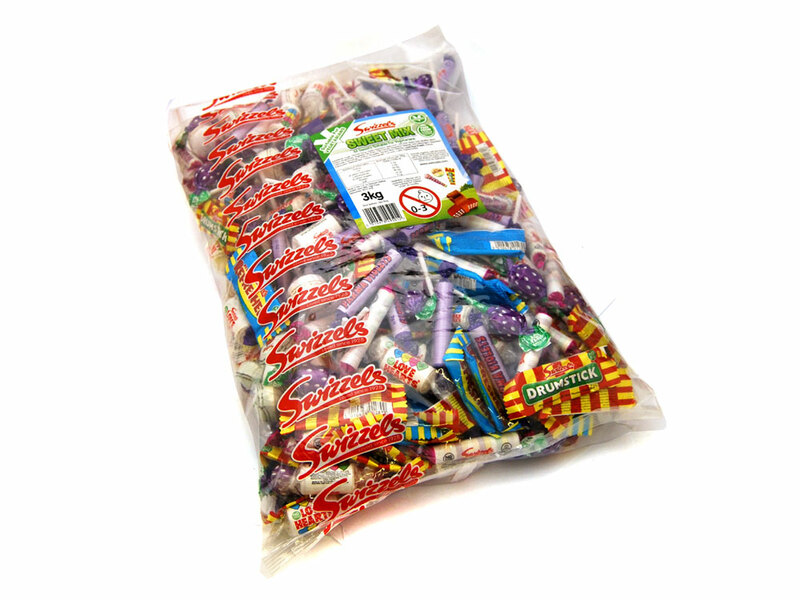 Why not buy this bag of assorted sweets, every one of your favourites are in this mix in this bulk bag! Including: Lovehearts, Double Lolly, Mini Drumstick Bar, Mini Refresher Bar, Blackurrant Fruity Pop, Parma Violet and Fizzers. Sugar, Glucose Syrup, Acidity Regulators: Malic Acid, Citric Acid; Stearic Acid, Modified Starch, Sodium Bicarbonate, Vegetable Oils (Palm, Palm Kernel), Magnesium Stearate, Anti-Caking Agent: Magnesium Carbonate; Flavourings, Cornflour, Emulsifier: Glycerol Mono Stearate; Lysed Soya Protein, Colours: Anthocyanin, Beetroot Red, Copper Cjlorophyllin, Curcumin, Lutein, Paprika Extract.